The Trump administration has moved to open up even more federal land in the Arctic to oil development, kicking off what could be Alaska’s next big environmental controversy. The National Petroleum Reserve-Alaska (NPR-A) has become one of the most promising areas on the North Slope for oil development. But the Obama administration expanded protections of the area, putting roughly half of the 22-million-acre Reserve off-limits to drilling, citing the need to protect important wildlife habitat. 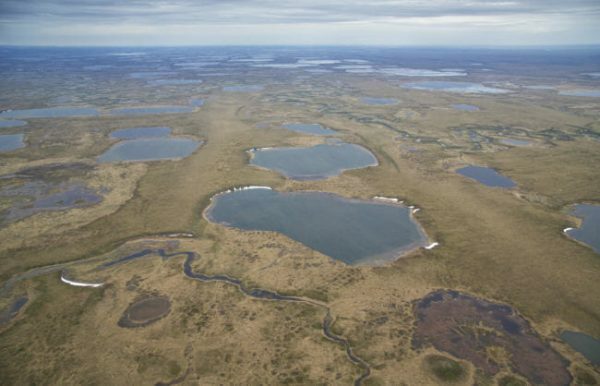 The Interior department today announced it is beginning the environmental review process to re-do the management plan for NPR-A, which is west of Prudhoe Bay. As the process moves forward, both the oil industry and environmental groups will be keenly interested in the fate of a chunk of land in the northeast corner of NPR-A called the Teshekpuk Lake Special Area. “Geologists believe that the area is extremely prospective,” Interior Assistant Secretary of Land and Minerals Management Joe Balash said yesterday in a call with reporters. Balash acknowledged that was a big reason why Interior decided to re-do the plan for NPR-A. But in addition to having huge oil potential, the Teshekpuk Lake Special Area is also hugely ecologically important. It’s habitat for birds that migrate there from all over the world, in addition to hundreds of thousands of caribou relied on by subsistence hunters. During the press call, Balash hinted at the controversy to come. “The big question is, can we make some of that acreage available in a manner that is responsible and honors the subsistence way of life that the people who live in the NPR-A have lived for thousands of years,” Balash said. Environmental groups have been expecting — and dreading — this announcement for a while. They were generally happy with the plan put out in 2013. But not long after President Donald Trump took office, Interior Secretary Ryan Zinke signed an order to revise the plan for NPR-A. “There were good reasons behind putting these areas into an unavailable for leasing category,” Susan Culliney with the Audubon Society said in an interview last year, when the Interior Department first hinted it was considering opening more of NPR-A to oil development. Groups like Audubon have raised concerns about the oil drilling already happening in NPR-A, but they haven’t fought it like they have with the Arctic National Wildlife Refuge. Oil development has long been allowed in NPR-A, unlike the Refuge. But today, a number of environmental groups signaled they are ready to push back against oil development near Teshekpuk Lake. At this point, the Trump administration hasn’t proposed how much land near Teshekpuk Lake it wants to open up for drilling. They could slightly shift the boundaries, they could open up the entire area, or something in between. That could determine just how fierce the next fight over oil and habitat in Alaska’s Arctic will be. The Bureau of Land Management, the agency that manages NPR-A, begins a 45-day public comment period on revising the NPR-A plan today. 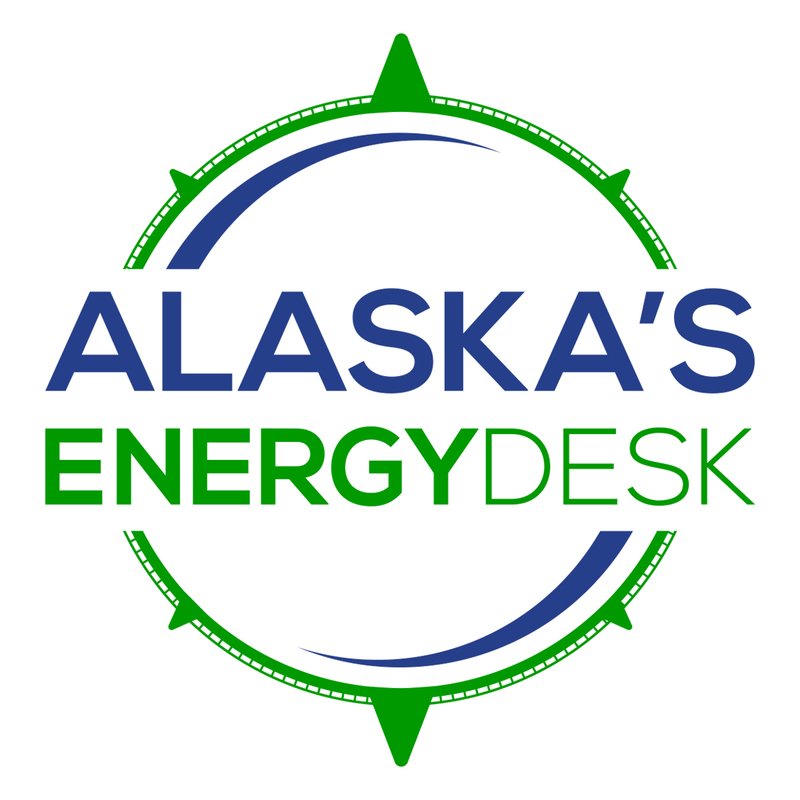 The agency said it plans to hold public meetings in Anchorage, Fairbanks and North Slope communities. Clarification: This story has been clarified to note that the Obama administration enlarged previously established protected areas within NPR-A.